One of six limestone reliefs for the Ohio Union Building, Ohio State University, Columbus. Representing the romance and hardships of westward expansion into Ohio. 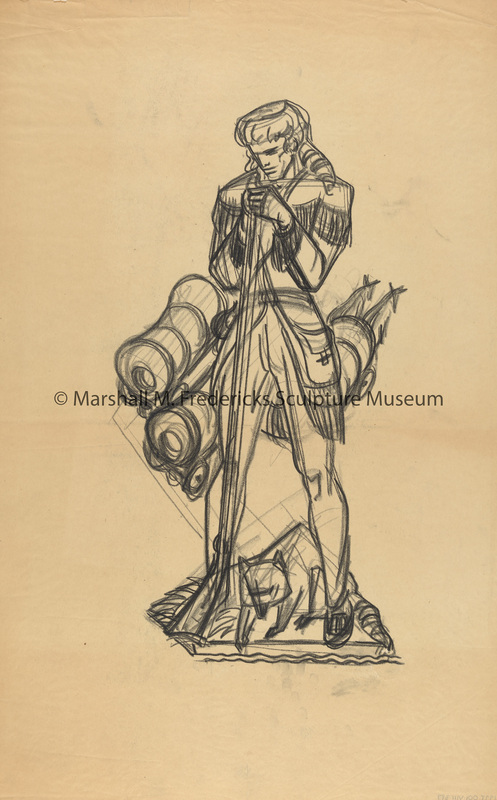 Fredericks, Marshall M., 1908-1998, “Sketch of Davy Crockett for "Pioneers and Early Settlers" for the Ohio Union Building at Ohio State University,” Marshall M. Fredericks Sculpture Museum, accessed April 25, 2019, http://omeka.svsu.edu/items/show/6995.